If happy people are more successful at work, as research would suggest, why aren’t successful people always happy? 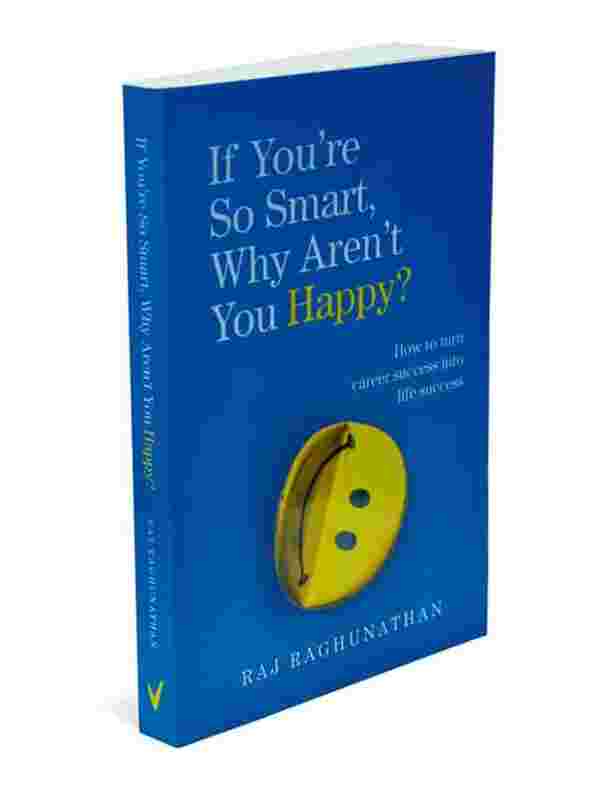 A new book by Texas, US, based business school professor Raj Raghunathan explores this paradox. Prof. Raghunathan teaches marketing at the McCombs School of Business in Texas and is a visiting faculty member at the Indian School of Business in Hyderabad. You are a professor of marketing at a business school. What drew you to teaching MBA students about the pursuit of happiness? People do a double take when they realize that I am a business school professor teaching a course on happiness. I had been teaching regular business school courses, like Consumer Behaviour and Customer Insights, but was growing increasingly sceptical of whether these courses—or, for that matter, the courses being offered in business schools—were helping students lead happier lives. I wanted to do something about it; my responsibility as an educator is to give students the skill sets and tools to lead happier, more fulfilling lives. I thought that a course specifically devoted to the question, “What are the determinants of a happy and fulfilling life", would nicely complement the other courses being offered at B-schools. Most people would agree that happiness is a positive emotional state. Beyond that, it’s a little difficult to get everyone to agree on what exactly it is. I define it as a state of “being joyful and lighthearted—but not at the cost of compassion or rationality. The feeling that comes from a sense of reassurance that I am completely and fully taken care of, and that life is perfect with its imperfections". Is it true that happy people tend to be more successful and better at their jobs? u Happier CEOs receive higher performance ratings from chairpersons of their boards and head companies with greater returns on investment. So why are smart people less happy than others? And do they actually “sabotage" their own happiness? I wouldn’t say that the smart are necessarily less happy than their not-so-smart counterparts: it’s just that they aren’t any happier. This is surprising because you would think that the smart (and successful) would be better at achieving their most important goals. And given that happiness is one of our most important goals, you would think that the smart (and successful) would be happier. But it turns out that they aren’t. There seem to be two main reasons for this. One reason is that the very things that make us smart or successful come in the way of happiness. For example, smart people are very good at thinking through problems and challenges. But it turns out that if taken too far, such “mind addiction" can come at a cost to happiness. Similarly, successful people often wish to be in control, but this desire for control, if taken too far, is counterproductive to happiness. Another reason the smart (and successful) aren’t that much happier than the rest of us is because they are just as clueless about what it takes to lead a happy and fulfilling life. For this, I hold our educational system accountable: As I mentioned earlier, we haven’t given people the knowledge and skills to lead a happier, more fulfilling life. What are the “seven deadly happiness sins"? They are: devaluing happiness, chasing superiority, desperation for love, being overly controlling, distrusting others, indifferent/obsessive pursuit of passion and mind addiction. A common theme underlying all of these sins is the “scarcity mindset"—the feeling that “my win is going to come at someone else’s loss" or that “life is a zero-sum game". You make the point that some vestiges of our evolutionary tendencies hold us back from being happy. Could you explain these tendencies? Yes, there are several evolutionary tendencies that hold us back from being as happy as we could be. One of these tendencies is adaptation—the tendency to get used to a certain level of a stimulus. This is what prevents us from being able to sustain happiness from a boost—say, an increase in pay, or from becoming healthy after an illness. But adaptation is also necessary for survival. Otherwise, we would find the 100th bite from a candy to be just as tasty as the first and never stop eating! A second tendency is “default negativity"—the tendency to pay more attention to negative things and to get more emotionally affected by negative (versus positive) events. It is this tendency that’s responsible for distrusting others more than we should. Paying more attention to negative things aids the goal of survival, but isn’t very helpful for happiness. A third tendency is partly hardwired and partly socially conditioned: mind addiction, which is the inability to stop the mind from chattering and churning out one thought after another. What are some of the techniques to avoid the seven deadly happiness sins and increase happiness levels? There are several practices or exercises that can help not only mitigate the seven deadly happiness sins, but also nurture what I call the “seven habits of the highly happy". The seven core exercises include: defining and incorporating happiness, expressing gratitude, creative altruism (basically, random acts of kindness), leading a healthy lifestyle (eating right, moving more, sleeping better), exercising “smart trust", forgiveness and mindfulness.